It is true that the images that we choose to surround ourselves with create meaning and effect us in subtle, and sometimes not so subtle ways. It seems even North Korea knows this and uses bus shelters to push its own idealogical agenda. In a fantastic series of photographs, both for their photographic quality and subject matter, Ed Jones captures the landscapes, agricultural scene and industrial marvels that the North Korean government wants its citizens to reflect on. 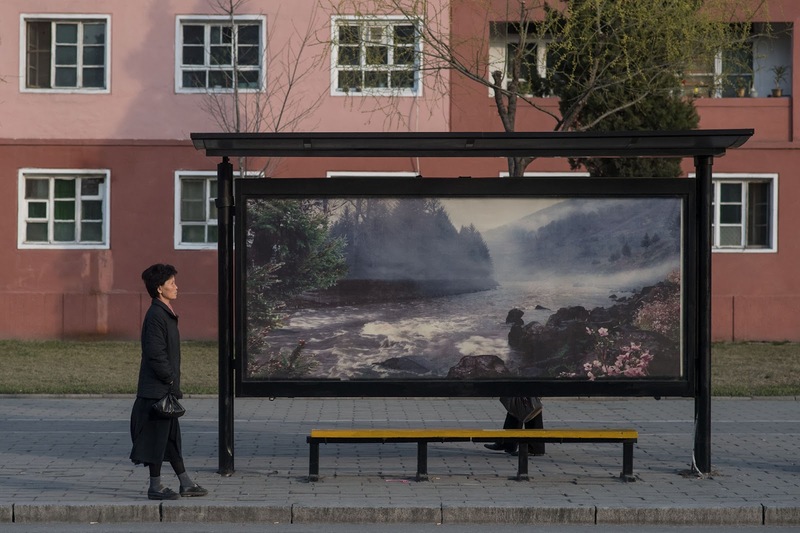 While I wont go so far to say that I would rather our own government use bus shelters to reflect the states interests and allure, there is something revealing about North Korea's use of bus shelters. All imagery is propaganda in some form or another and since public space is ours, it only seems right to me that the public itself should choose what that propaganda is pushing.